Lyuba was unearthed from the Siberian permafrost in 2007. 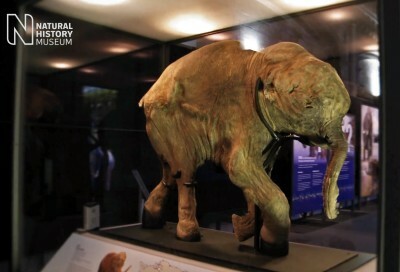 She is the best preserved mammoth discovered to date. The calf was just 1 month old at the time of her death. The mummy is 85 cm tall and 130 cm long. Model (.obj) retrieved from the UMORF (University of Michigan Online Repository of Fossils).